I was lucky enough to be invited to a Chanel event last week, for a presentation of the new Chanel Les Beiges Healthy Glow Foundation. Initially, I wasn’t a hundred percent sure as it is a semi-matte formula however, after trying it at the event I am hooked. Starting with the packaging, Chanel have gone back to their roots with a frosted glass bottle, it feels luxury and it looks stunning. It also comes with a pump… massive brownie points! 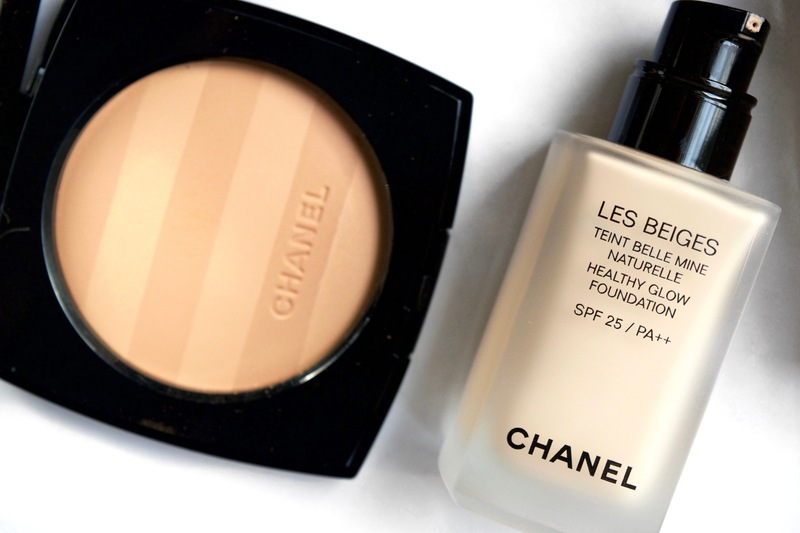 The consistency reminds me of the Les Beiges Fluid, just slightly creamier and it has SPF 25. There is also a delicate scent, it’s very fresh and pleasing and doesn’t linger. As per usual, the shade range is not great, there are only 9 shades in the Healthy Glow however, 020 is a perfect colour match for me. For reference, I am N1 in Mac Face and Body, 010 in Dior Star, 02 in Guerlain Lingerie de Peau and Mont Blanc in Nars Sheer Glow. I typically apply my base with a damp beautyblender however, I have been reaching for my Artis Oval 7 to apply this foundation as it is semi-matte and I prefer the finish of a buffing brush. 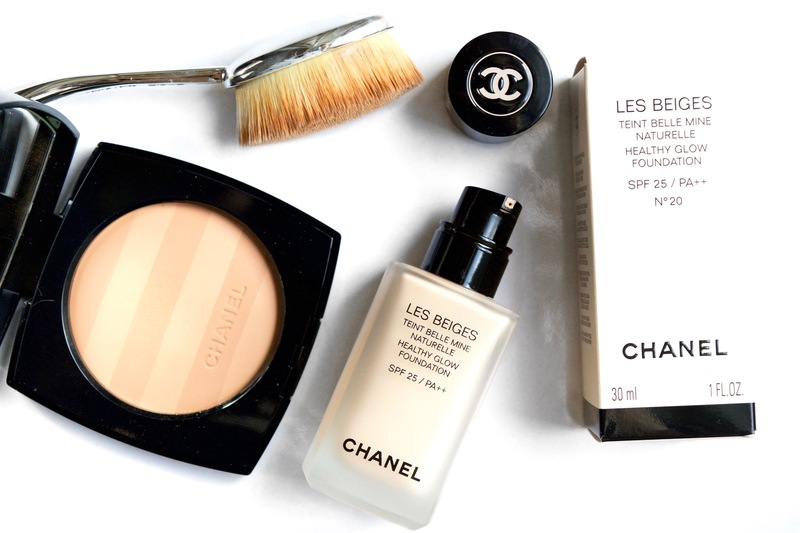 At the event, the Chanel makeup artist mixed the foundation in with the Hydra Serum for a sheer look, I like to do the same but with my Guerlain Météorites Radiance Moisturiser and a small amount of Les Beiges fluid. I do this because I have dry areas and this sheers out the foundation to give a further glow. Once buffed in, I then use a damp beautyblender spritzed with Mac Fix+ to really work it into the skin and create a flawless look. The coverage is medium and build-able, with a semi-matte yet super radiant finish. It doesn’t feel heavy whatsoever; the foundation melts into the face and just enhances your complexion naturally. It also contains UV filters, to protect the skin from harsh environmental conditions which is amazing! The Healthy Glow foundation doesn’t enhance my dry areas either, so I would say it is ideal for dry and combination skin types. If you’re oily, it may be slightly too glowy for you and so I would recommend trying the new Dior Forever Fluid instead. I have been wearing the Healthy Glow foundation most days since the event and I have to say, I love it! 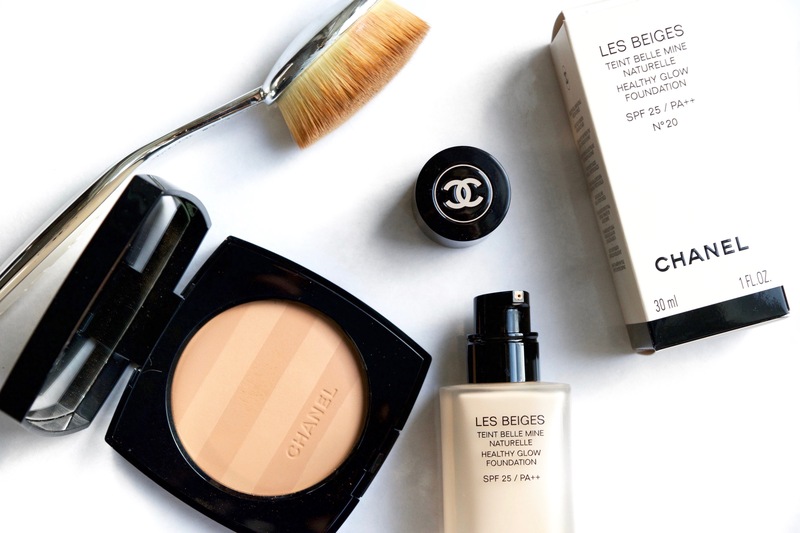 It feels lightweight, gives me natural coverage and lasts exceptionally well throughout the day. I would highly recommend trying it out for yourself, even if you’re a die hard dewy skin gal, like myself. In terms of price, it is £36 for 30ml which I think is very good! You are getting what you pay for and I believe it is more than worth it. 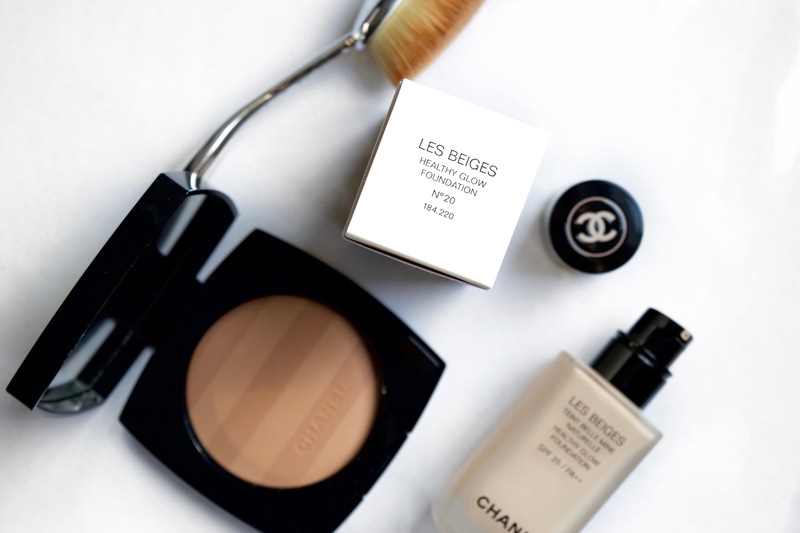 After reading numerous blogs rave about the Chanel Les Beiges Healthy Glow Multi-Colour bronzing powder, I felt a huge need to buy it! I don’t know why I never picked it up last year however, I found it online last month. I have been reaching for this to bronze up my face and give a more radiant and healthy appearance to my complexion and again, I am blown away. 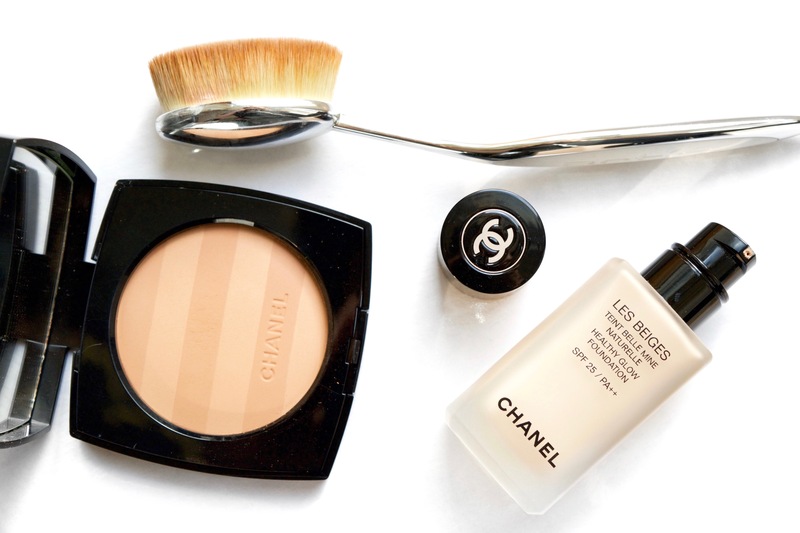 The powder is so finely milled and doesn’t give any powdery texture. 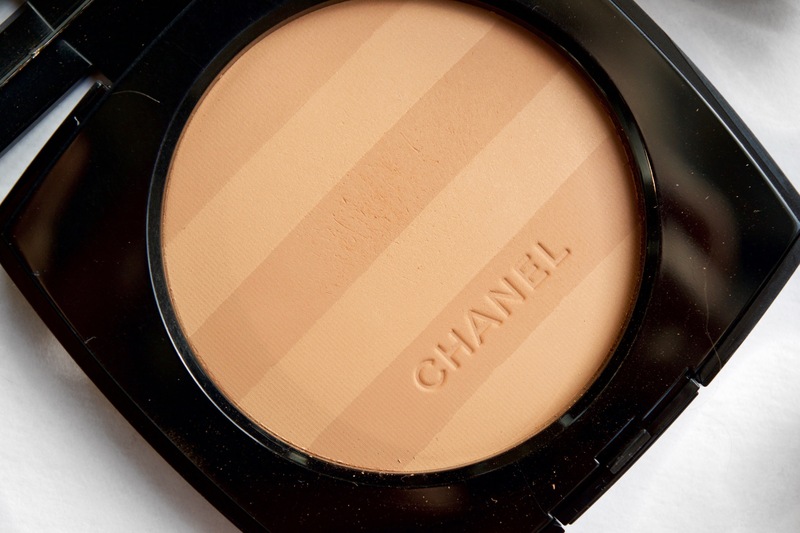 It melts into the skin and works so well with my Chanel bases, plus it lasts all day which some bronzing powders fail to do. 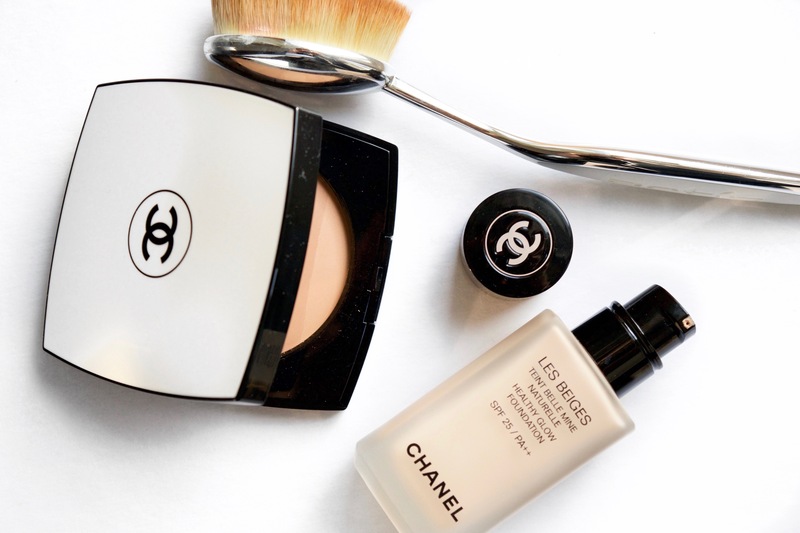 I’ve been doing full Chanel makeup looks recently and I love it! I feel radiant and yet I still look natural. 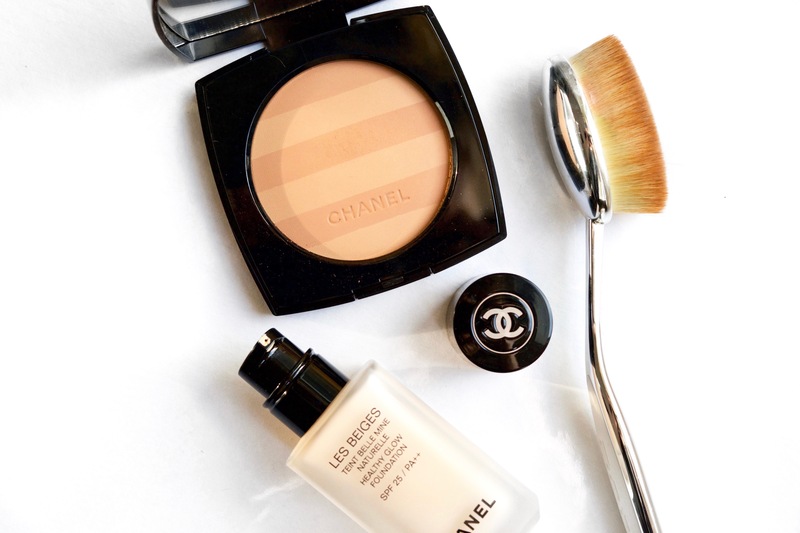 Another glorious launch from Chanel! Thanx for the info, it sounds promising! I’m gonna look into it. I have the hourglass powders and surprisingly enough, the Ethereal Glow one actually controls oils pretty decently while not drying out my skin. I’m going to stop by the Chanel counter next time I’m shopping. Great review, will definitely be trying this when I’m finished with my Vitalumiere Aqua! I like the idea of mixing it with serum or moisturiser, too – hate the cakey look. I just absolutely adore the packaging! It’s simply gorgeous! I love your blog! It’s so well put together and your pictures are perfection!